Antique19thc Small Bonework Decorated Box . English. C1840-60. 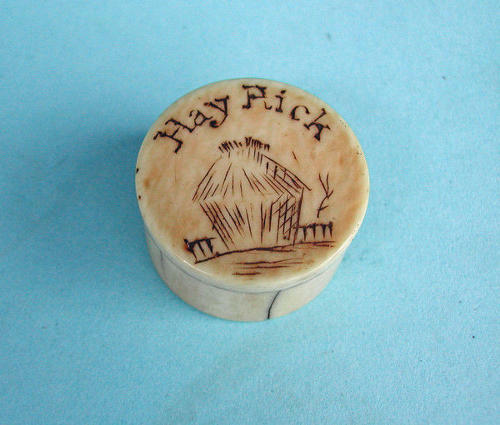 A rare survival from the 19thc is this beautifully made little screw top bone box, decorated in the primitive style with an early picture of a Hay Rick and with the words Hay Rick,....it has a small crack which has now been filled in with constant use and it has a very good overall patination.